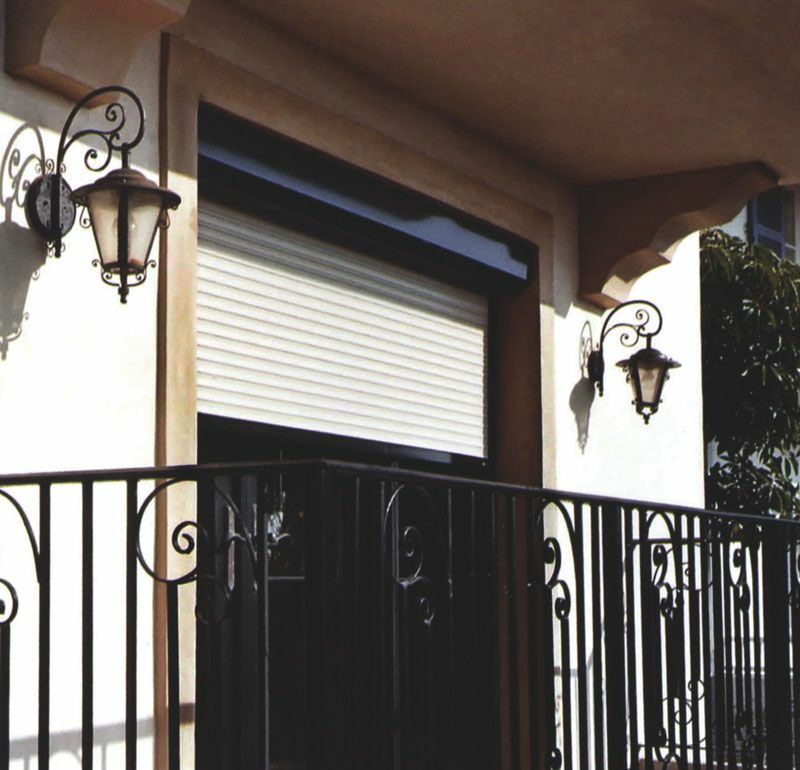 Roll shutters provide the ultimate protection for your home or business against all external undesirable elements in Los Angeles or the Bay Area. 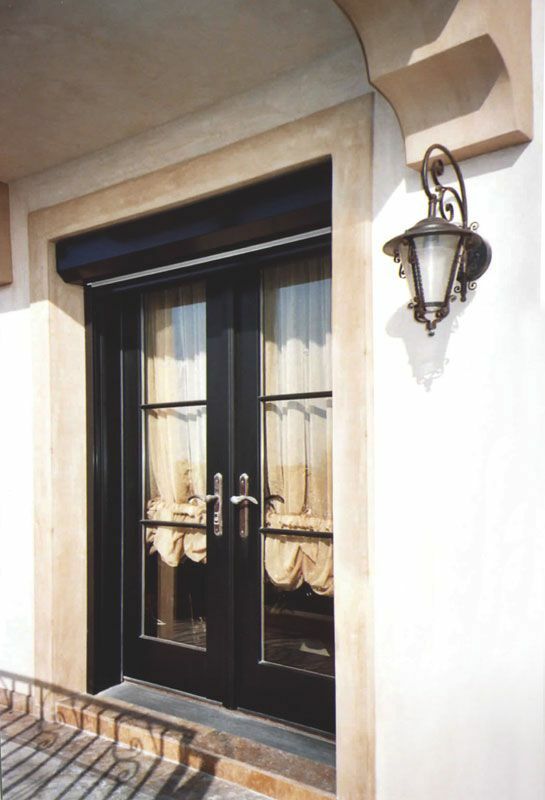 Shield your doors and windows against vandals, burglars, and intruders. Keeps your home cooler in the summer and warmer in the winter. Prevents water from penetrating through leaky doors and windows. 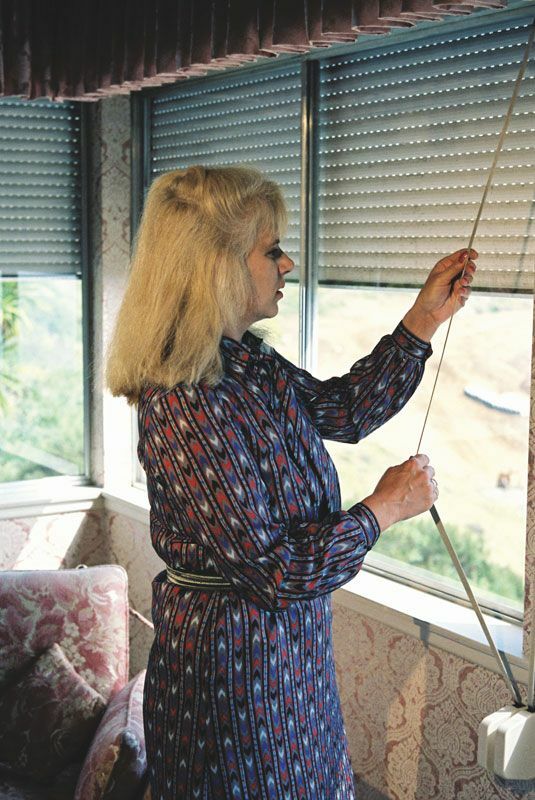 Also keeps dangerous debris away from vulnerable doors and windows. Keeps your home quieter from outside traffic and airplane noise. 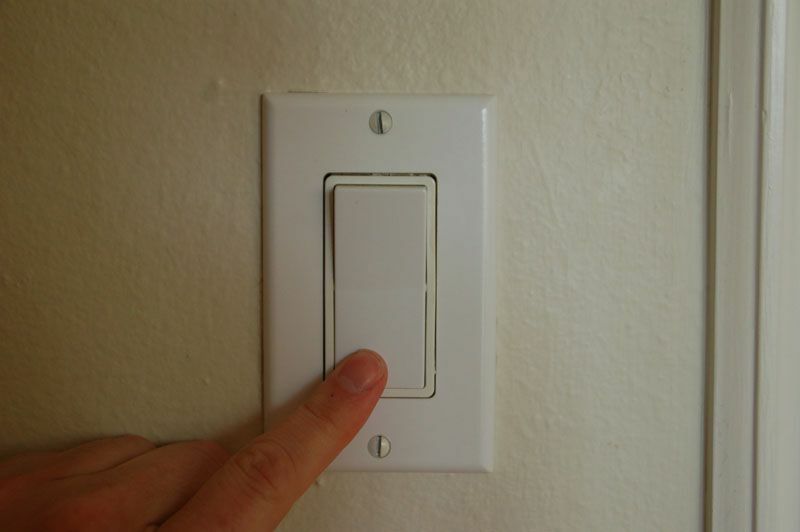 Darkens your bedroom to allow daytime sleeping. 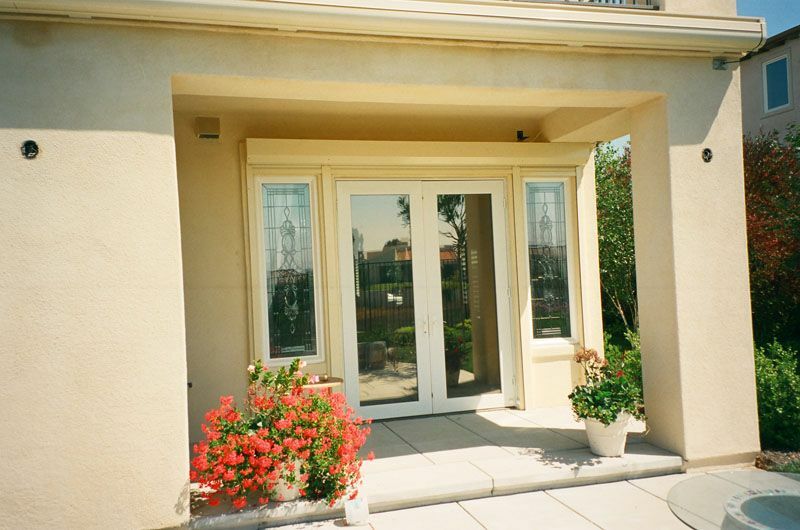 Prevents sun damage like fading and cracking to doors as well as furnishings, rugs, artwork, etc. Blocks out prying eyes and nosy neighbors. Also, serves as an ideal divider of 2 areas such as a pharmacy or kitchen counter. When open, the roll shutter frame is hardly noticeable. 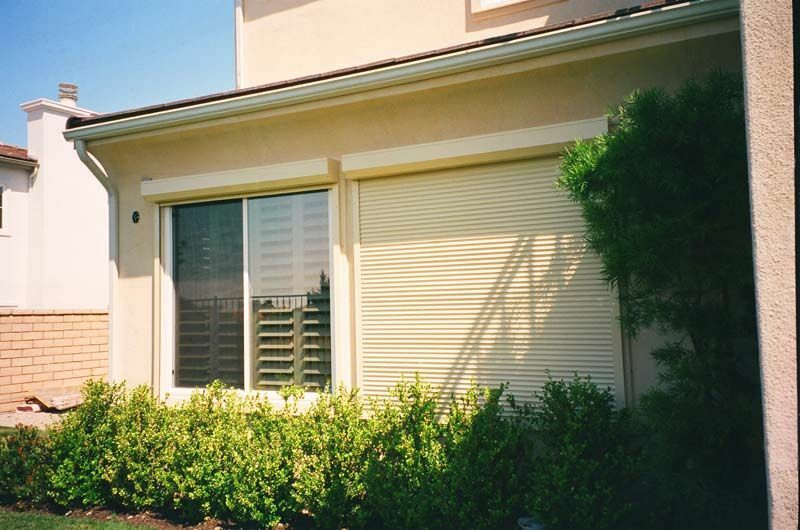 With the correct color selection, the roll shutter blends beautifully to your home. 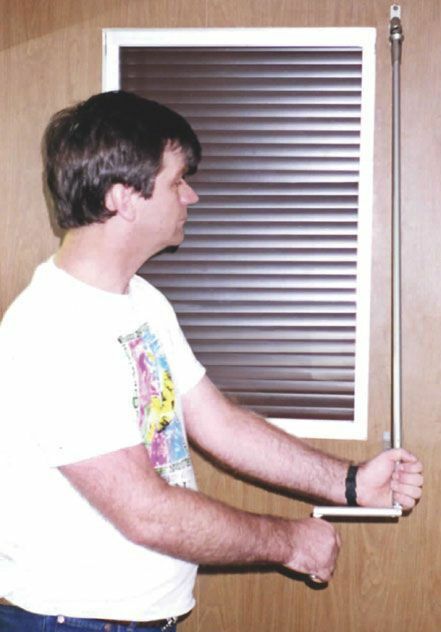 Fitted into the door opening, the roll shutter neatly frames the door. 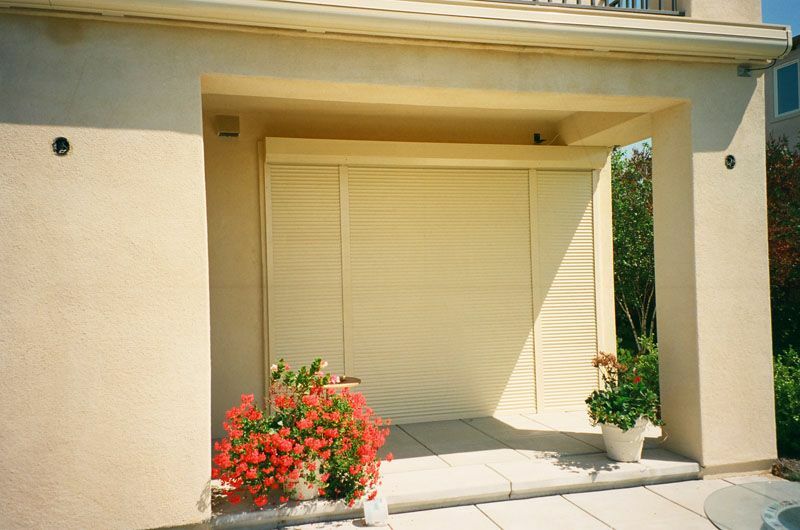 Each roll shutter can be custom sized to embellish your home while protecting it. Roll shutters secure the first floor from intruders. 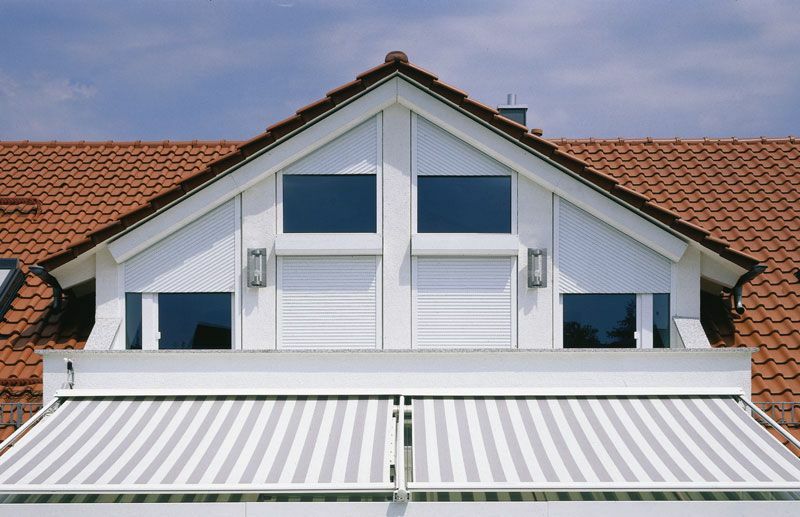 Roll shutters combined with a retractable awning provide the ultimate sun protection. 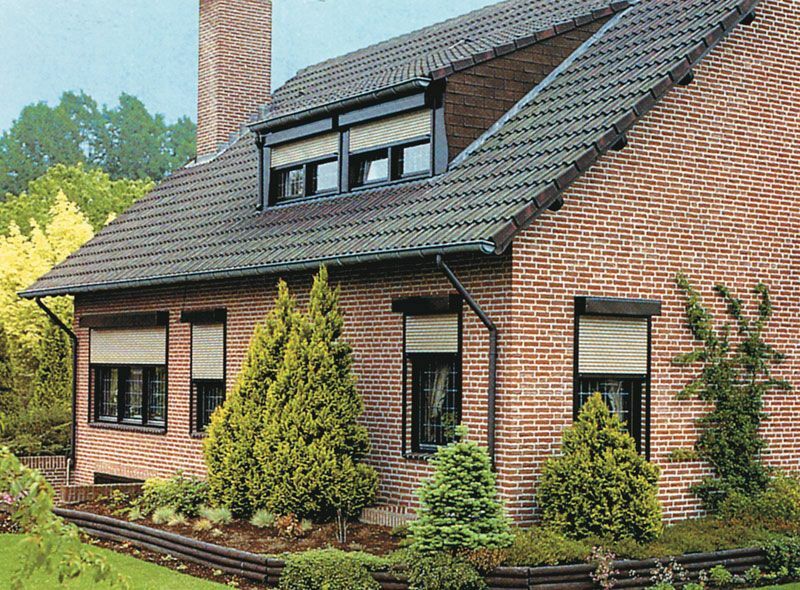 Brown frame and beige slats on these roll shutters complement this brick home. 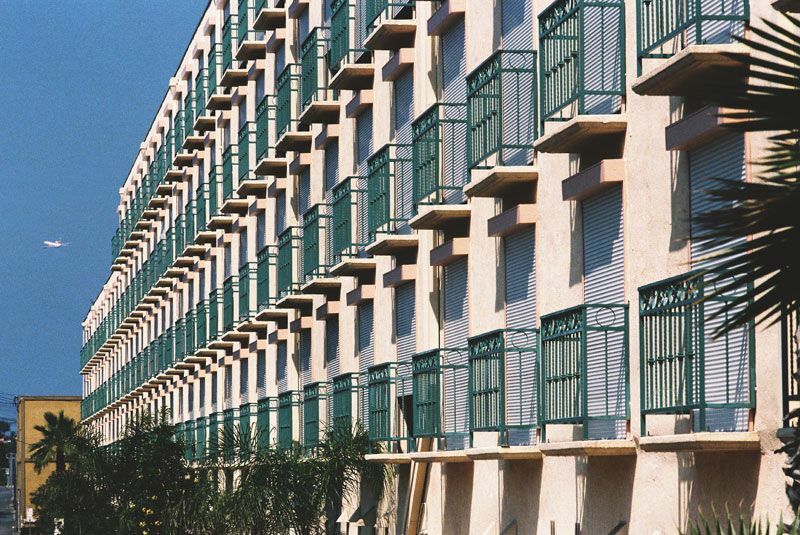 This airport hotel is equipped with roll shutters to reduce noise and light for its sleeping guests. 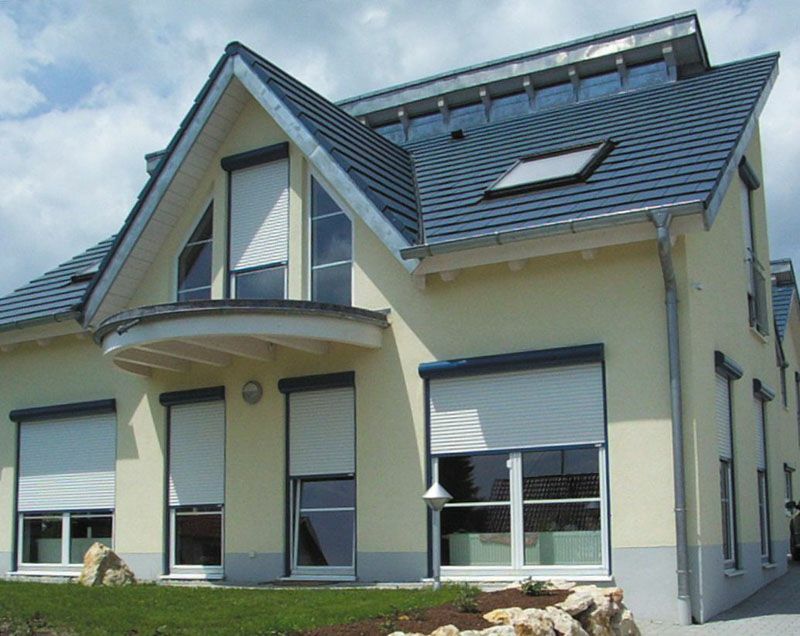 Roll shutters keep the rain and snow away on this European home. 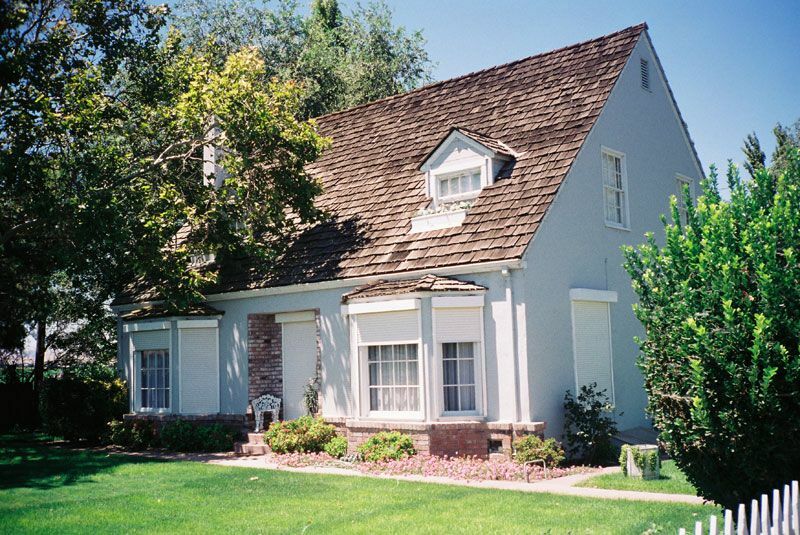 Different color combinations can spice up the look of the shutters. 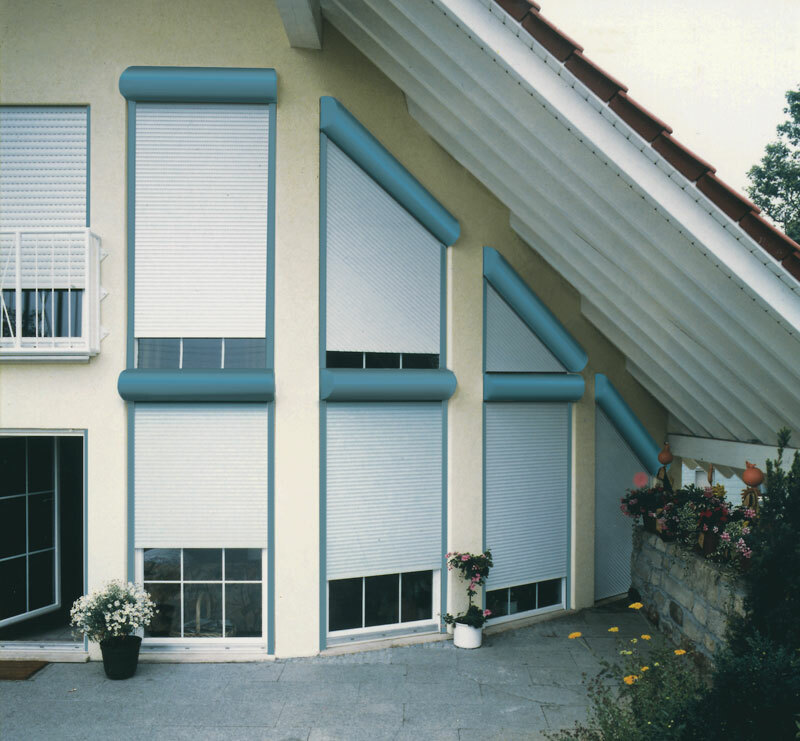 Roll shutters can be operated internally by a 1 inch wide taut and durable nylon strap. 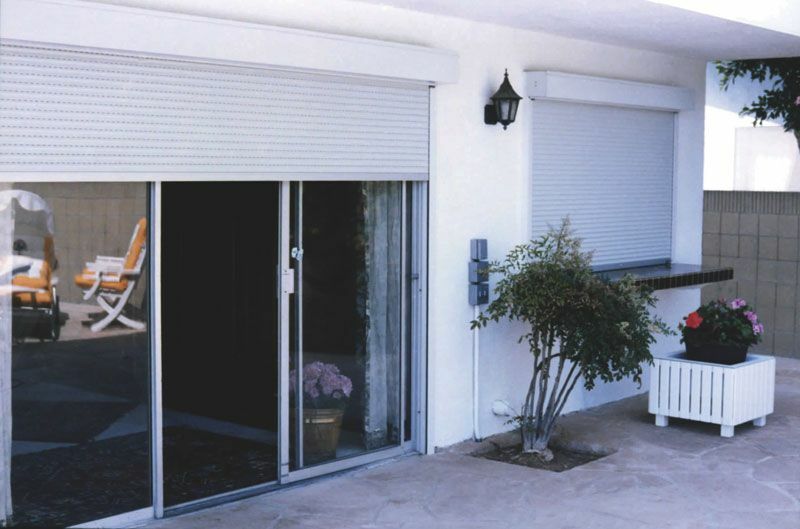 Roll shutters can be motorized and operated by a switch or remote control. 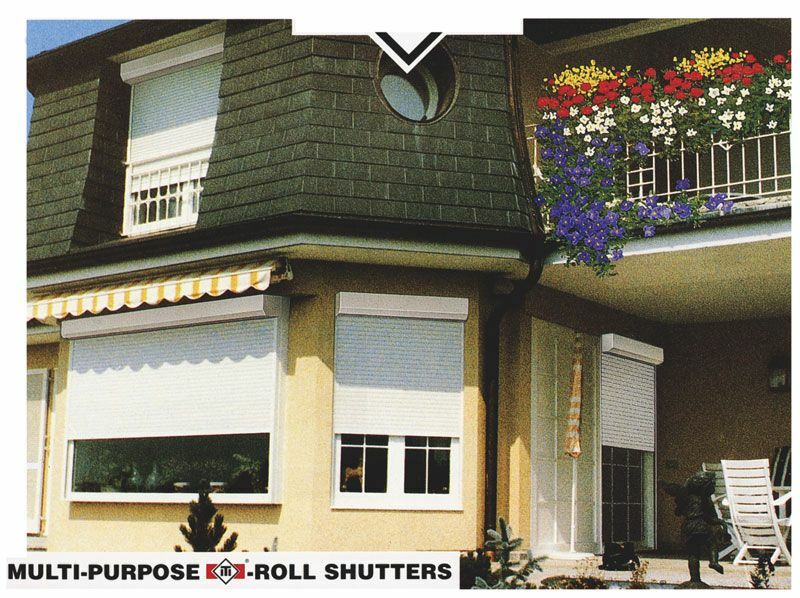 Unusual window configurations are no problem for roll shutters. 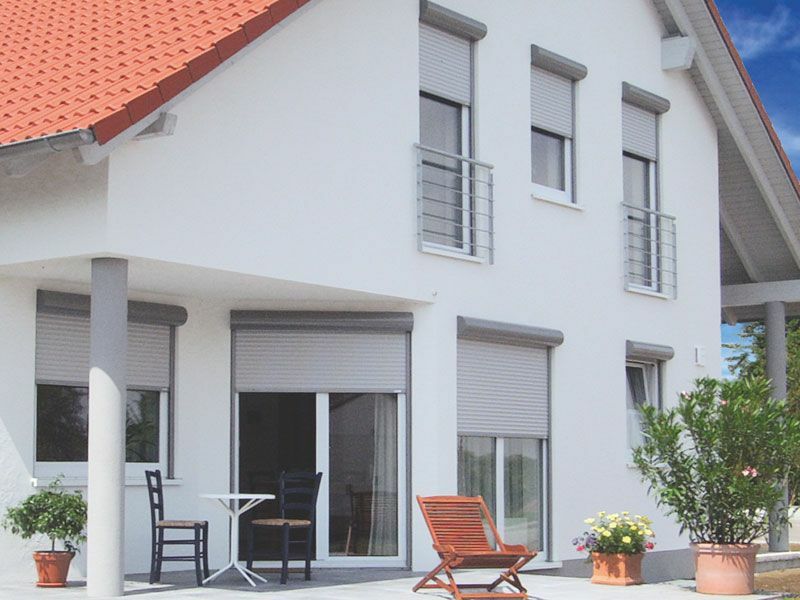 Even if windows are not rectangular, roll shutters can be fitted to cover them. 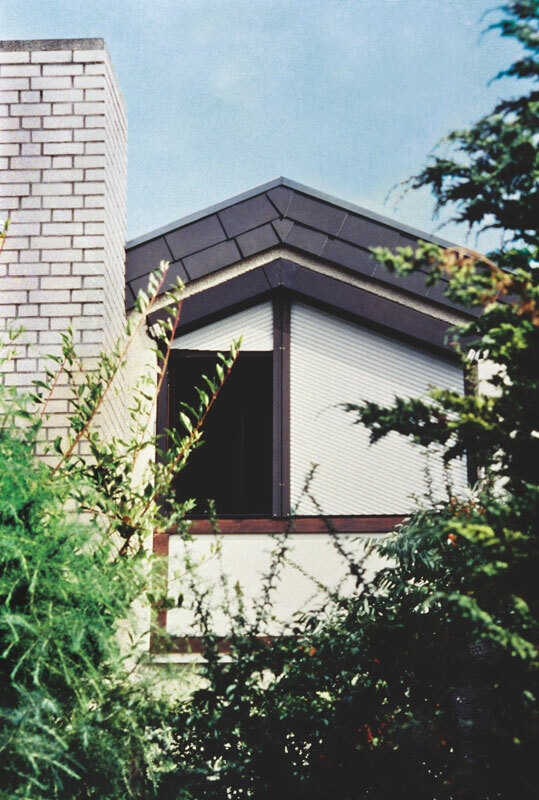 Skylights and even horizontal applications can be covered by roll shutters. 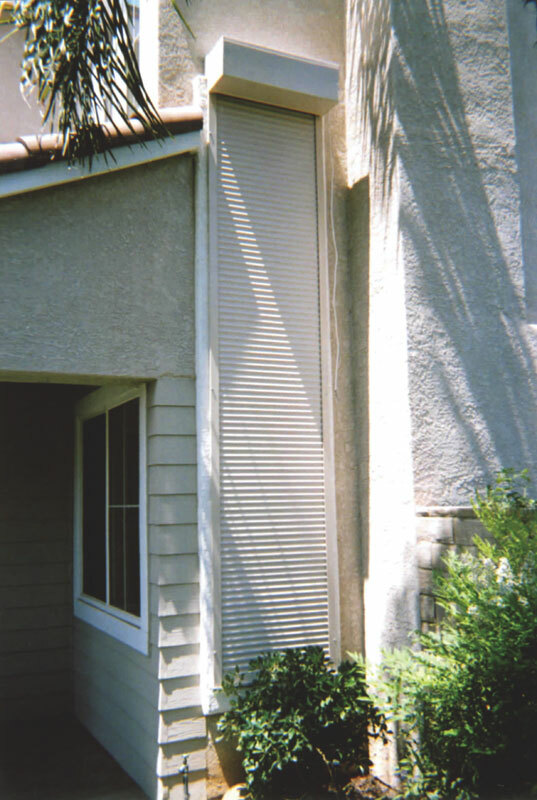 Tall & skinny or wide & flat openings can easily be adapted for roll shutters. Please provide your address so we can mail you our FREE catalog. Copyright © 2019 Inter Trade Inc., All Rights Reserved.